Head, Agro-Economy Desk, FEMI IBIROGBA and Daniel Nnanna write on the need for private operation of small to medium-scale storage facilities for food safety and security in the face of indiscriminate use of agro-chemicals as preservatives. Grains help feed the world and silos help producers and dealers to bring them to the table at the appropriate time. Silos are instruments of post-harvest management and preservation for food security and industrial utilisation. They are designed to store grains like maize, rice and pulses like soybeans and beans for human consumption and animal feeds. The structures enable farmers to store grains for better future income security, and they are sometimes equipped with thermometers to monitor the temperature. They constitute a part of integrated approaches to post-harvest food handling, which developed countries have optimised for food security and safety. The Food and Agricultural Oraganisation (FOA) describes losses as a measurable reduction in foodstuffs and may affect either quantity or quality. They arise from the fact that freshly harvested agricultural produce is a living thing that breathes and undergoes changes during post-harvest handling. It adds that food loss refers to total modification or decrease of food quantity or quality which makes it unfit for human consumption. Quantitative loss is a loss in terms of physical substance, meaning a reduction in weight and volume and can be assessed and measured. Qualitative loss, however, is concerned particularly with the food and reproductive value of products and requires a different kind of evaluation. Commercial loss, FAO explains, is the translation of the various types of loss listed above into economic and monetary terms. Although the price of a foodstuff is usually based on weight, many other factors play a part. This applies, especially to the qualitative elements emphasised above, starting with cleanliness and purity, which will be all the more sought after if supplies are abundant in the market-place. Every year, farmers especially in the north turn out huge tonnes of farm produce, which is usually more than enough for sale at the markets. Often times, the supply surpasses demand, resulting in a surplus, and usually to wastages due to inappropriate storage facilities. Why private small, medium-scale silos? There are many tenable reasons for setting up and maintaining private silos. Agriculture is no longer seen as a way of life but as a business. Operating silos is an extension of agribusinesses. And the following are some of the reasons. According to FAO, in 1961, the world population stood at three billion and the global cereal production was 876 million tonnes. Today, the world is home to over seven billion people and the world cereal production is estimated to 2282 million tonnes. As the world population moves closer to nine billion, it is not just grain production that should rise; storage solutions should also keep pace with the growing global population. Therefore, it becomes crucial for dealers and farmers to establish efficient and sustainable storage facilities when the country has failed to optimise such. The Federal Government’s 33 silos, spread across the country, with each having a storage capacity of between 25,000 tonnes and 100,000, could have come handy in closing the gap, but public facilities management has deteriorated to the extent that the government has leased most of the silos. 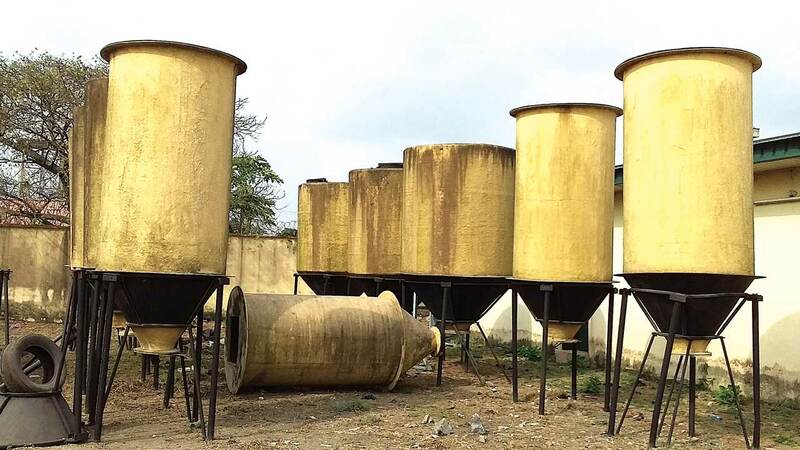 Professor Samuel Olakojo, speaking on the government-owned silos, said “the objective of the silos was not actually for farmers to store their grains and go back later to collect it. The objective was that, all grains that are produced in excess in each of the states should be stored. The Federal Ministry of Agriculture and Rural Development (FMARD) of Nigeria presented most of the silos to private firms for lease in 2018. The dysfunctional state of the public silos has forced farmers and traders of grains and pulses to resort to self-help methods, at the expense of public health. Snipers and other poisonous substances, without experts’ supervision, are being applied to preserve these food crops, posing dangers to health of consumers. This has also forced the European and American countries to restrict importation of these products from Nigeria. However, small-scale silos are maintained without poisonous chemicals and they help in making available wholesome foods. Felix Ajuebor, an engineer with the Federal Institute of Industrial Research, Oshodi (FIIRO), said a prototype designed and manufactured by the institute can contain five tonnes of grains like maize and pulses like beans and soya beans, and requires no preservatives. “You don’t need any type of chemical. The silos are properly sealed. They can be stored for up to a year or two without anything happening to it,” added he. The silos, he explained, are made from fiberglass, and pure stainless metal can also be used. Professor Olakojo, while explaining considerations before setting up silos, told The Guardian that, “If an individual or organisation wants to build silos, the first question they should ask themselves is: what would the silos be used for? Is it for a private use, a commercial use, a regional or national use? If it were for individual use, the size of the silos would be small, depending on the individual’s production capacity. A research engineer with the Nigerian Stored Products Research Institute (NSPRI), Shuaeeb Oyewole, while explaining an inert atmosphere silo system developed by the institute, said it is a technology for preserving food grains and their seeds in an atmosphere in which the original air content has been modified and replaced with nitrogen. 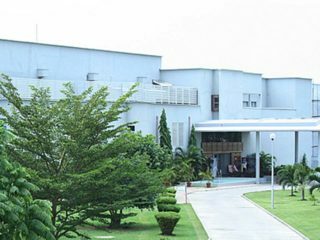 The technology was developed in Nigeria by the Nigerian Stored Products Research Institute (NSPRI) about three and half decades ago. The capacity coverage of the technology, he added, ranges from 100 kg to thousands of tonnes. Oyewole disclosed that the system had been used to store various grains and their qualities maintained for over two years without the use of synthetic chemicals, with 100 % insect mortality potential of all developmental stages without re-emergence. “The ultimate goal of any technology developed is to get it across to the appropriate end users through effective technology dissemination process. 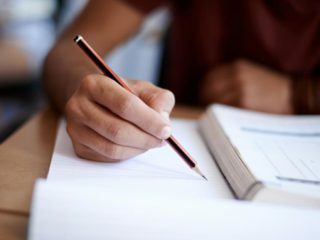 In spite of dissemination methods deployed, the cost effectiveness, benefits and age of the technology, the adoption rate is still low,” he lamented. The technology is an airtight storage facility with provisions for modification of its environmental conditions to suit control of insect infestation in stored grains. Its major components are bin, plinth, gallery, gas supply network, monitoring devices and handling equipment. The bin is a cylindrical metal structure with conical top coated with food grade paint. It has three outlets for loading, discharging and accessibility. The plinth is a reinforced concrete basement that provides support for the bin and the gallery. However, capacities from five tonnes do not require plinth, but could be supported by point load bearer concrete columns and structural bars. The ladder and walkway constitute the gallery for easy access of the silo. The gas supply system of the silo is responsible for supply of nitrogen to the bin through the following components: gas cylinder, gas line, gas control valve, gas regulators and purging container. The gas line is supported with gas line tray and vertical support. The main storage conditions monitoring devices are pressure gauge and temperature probes. The handling accessories of the silo include grain bunker, grain sampling probe, loading and unloading auger conveyors. The aggregate of small-scale individual or cooperative silos will ensure food safety, security and additional income to farmers. NSPRI disclosed that its inert atmosphere silo for storage of grains had successfully stored wheat, among other grains, for four years without quality deterioration, but the post-harvest value chains had not been able to adopt the technology. The appraisal of the economics of the technology for storage of wheat and other grains and profitability was done, and the revelation was that, the storage of wheat using inert atmosphere silo is highly profitable; return per naira from wheat grains storage using the silo is 0.44. The institution said the return on the investment almost hit 50 per cent of the financial commitment to the silo for grains storage. “To reduce post-harvest grain losses and increase food security in the country, the government at all levels, farmers’ association, stakeholders and grain merchants should work with NSPRI on the adoption of the technology,” NSPRI stated.